"It gave me energy...We join forces." zombie-apocalypse works of Max Brooks will be interested in what Leed has to say. but its importance is undeniable — and Leed’s book points to a renewal of the practice. 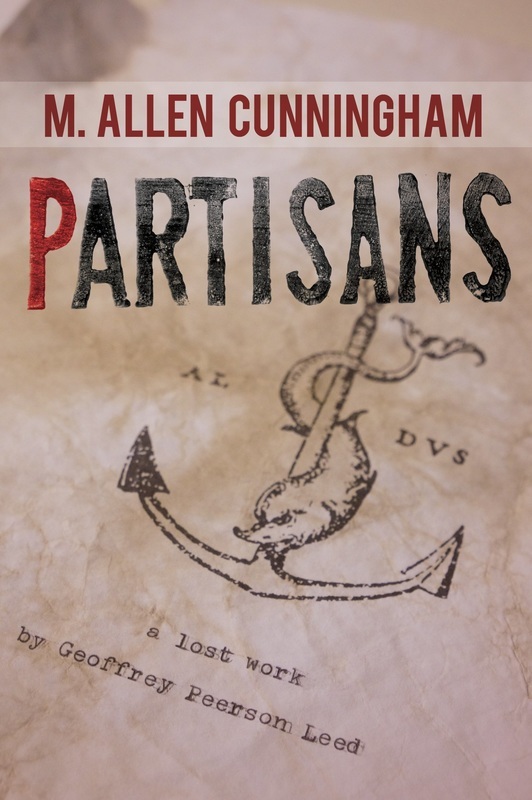 tell them, Partisans is thoughtful and, unfortunately, relevant." "Leed was a mad one, like the rest of us. Unlike us, his gifts were very nearly divine." A lost work by the mysterious writer Geoffrey Peerson Leed, Partisans describes a brutal war in an unspecified past, as well as Leed's struggle to survive in a paranoiac future riven by totalitarianism and social decay. The book is presented in nine parts according to Leed's designs as indicated in manuscripts discovered after his disappearance. Everywhere at its heart, Partisans speaks boldly to our contemporary moment: a time of unbridled surveillance, constant war, and maddening technological upheaval. "Always, everything we see challenges us to understand. to prior interpretations is the extent to which we escape oppression." the I of identity. He was a blowing dust that got in under doors." ​ the truth by the serene simplicity of its surface."